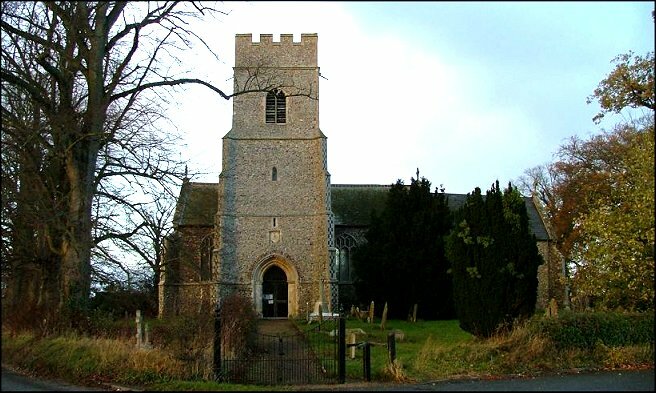 South central Norfolk is wild and empty in winter, but once you get close to the old Norwich to Thetford road you touch on a straggle of outer suburbia near to Wymondham and Hethersett. Wicklewood is close enough to this road to have a good number of houses, but far enough away to preserve a sense of remoteness. 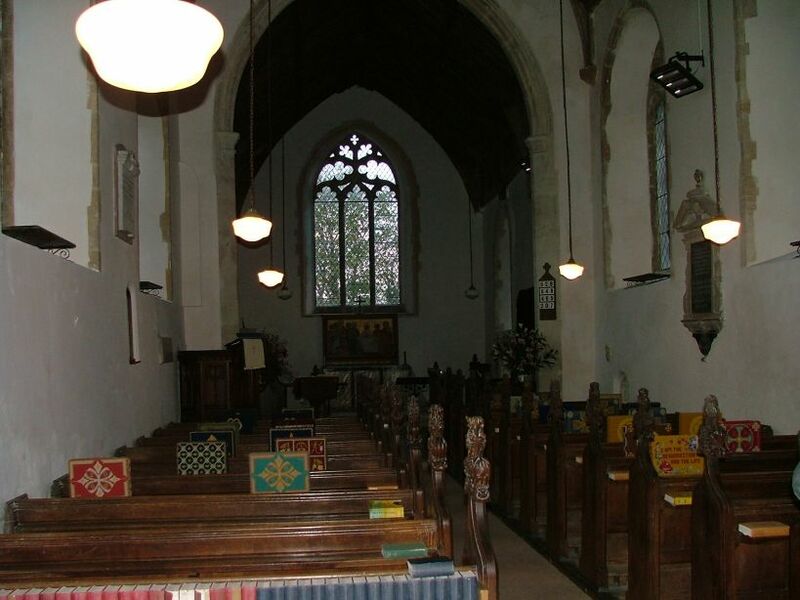 The church sits at the edge of the built-up area looking across the valley to fields and woods, a very pleasing situation. 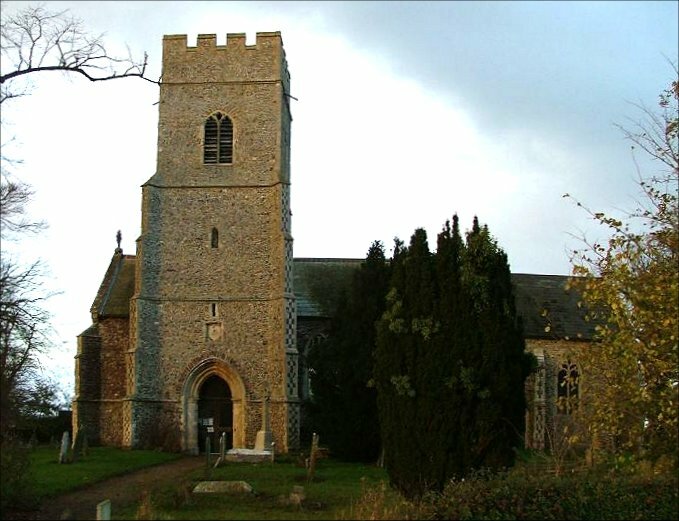 If you showed the photo at the top of this page to someone with an interest in East Anglian churches, they might hazard a guess that St Andrew is in the vicinity of Ipswich; its southern tower, doubling as a porch, would be one of many if it was in that area, but such a thing is relatively unusual in Norfolk. 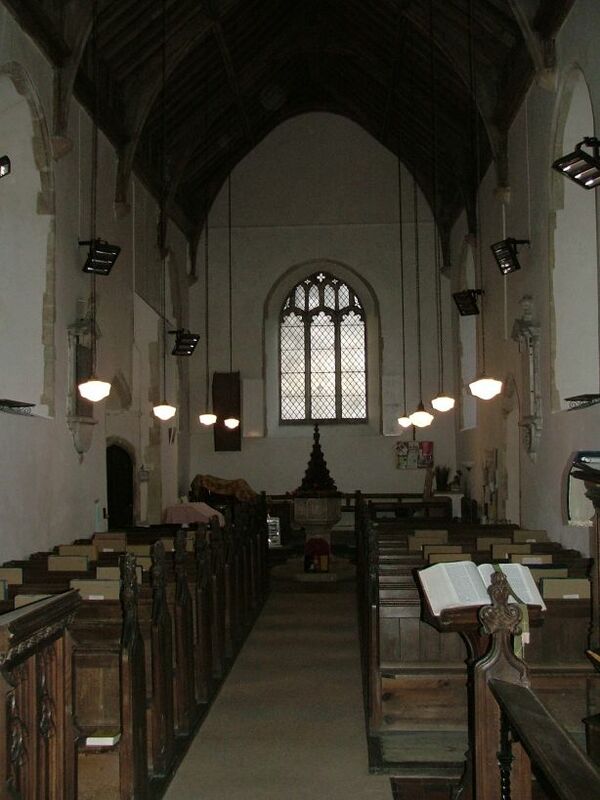 Pevsner records that there are two rooms above the porch, both with fire places. 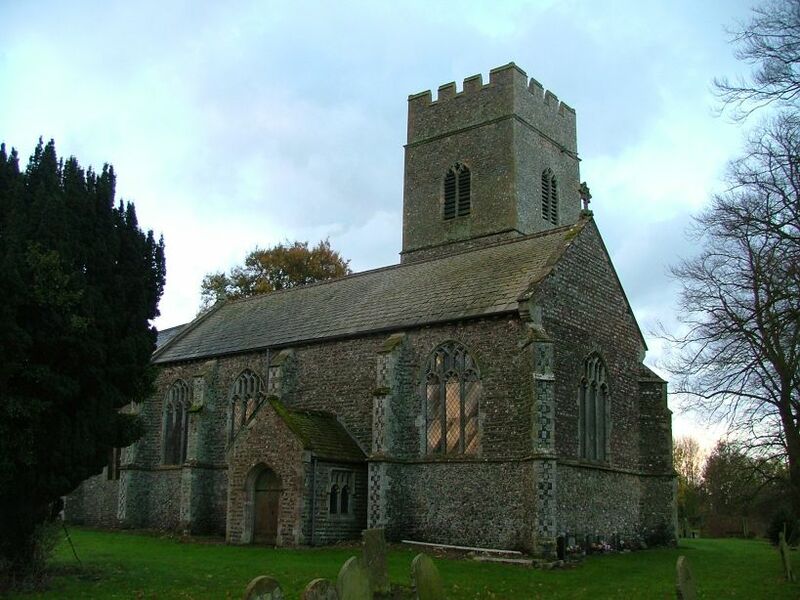 Otherwise, this is a typical 15th century village church, although the elaborate tracery of the east window is Victorian. 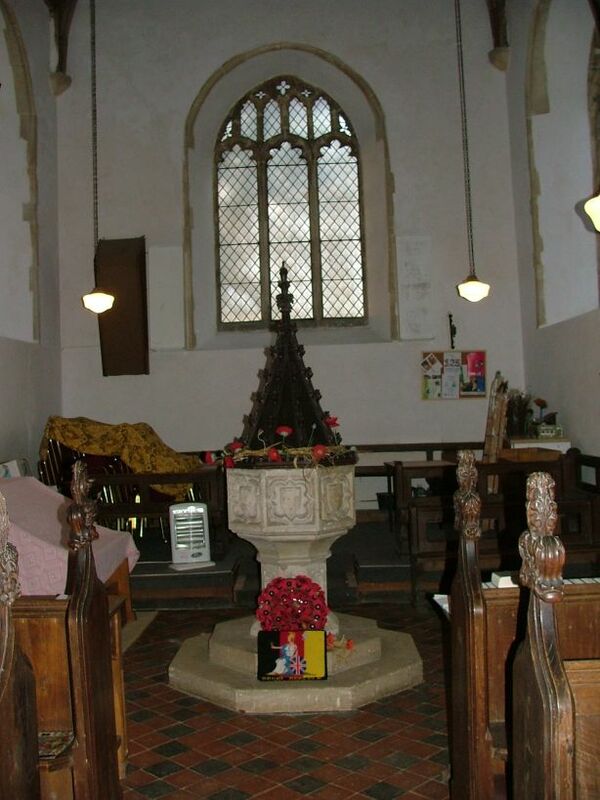 It might be the weight of it that is causing the east end of the chancel to sink into the ground. 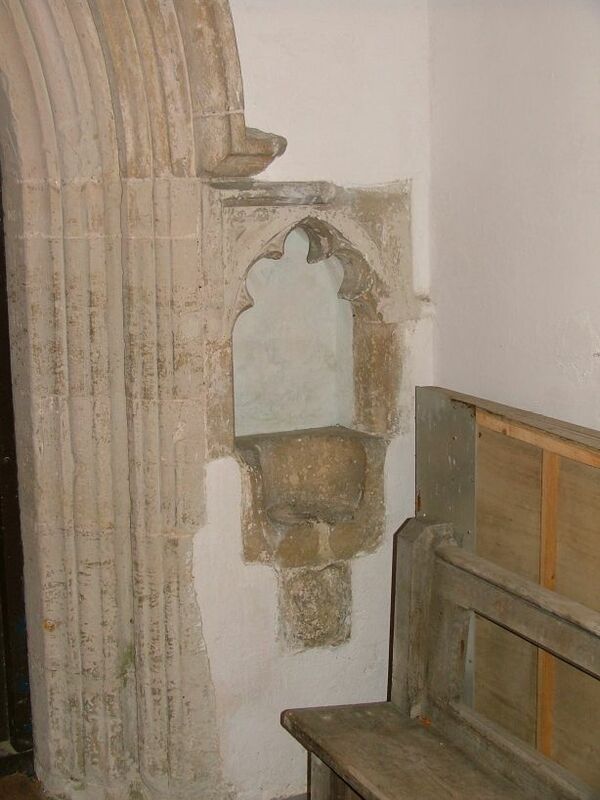 There is a broken holy water stoup beside the south door. 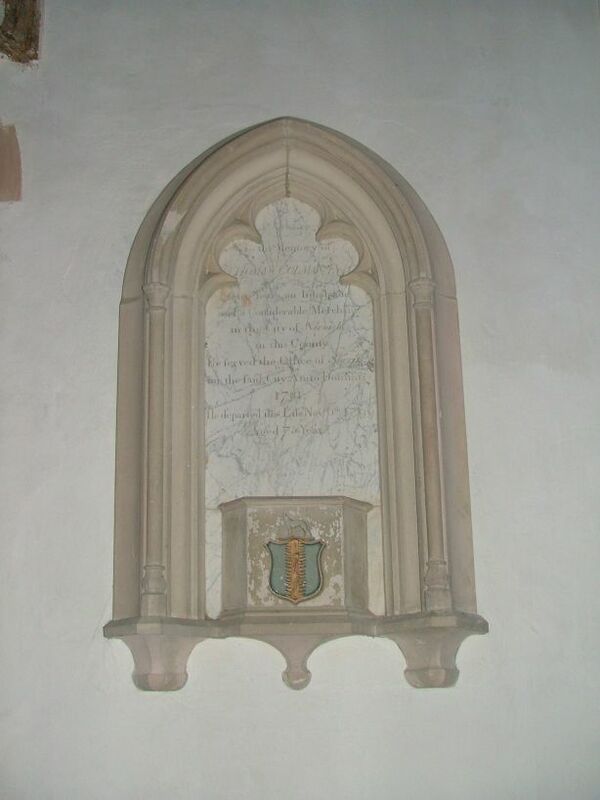 Curiously, its tracery is echoed inside on the 18th century memorial to Bartholomew Day, suggesting that it might have been visible at the time. The bowl itself is not, I think, original. 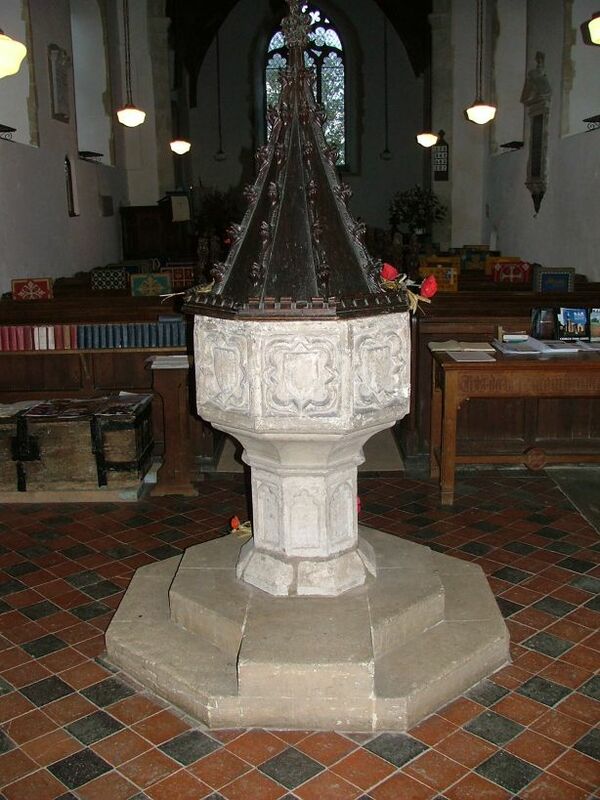 The interior was rather sombre on this late afternoon in winter, but the font is elegant, with a crocketted cover, and some of the benches are old. 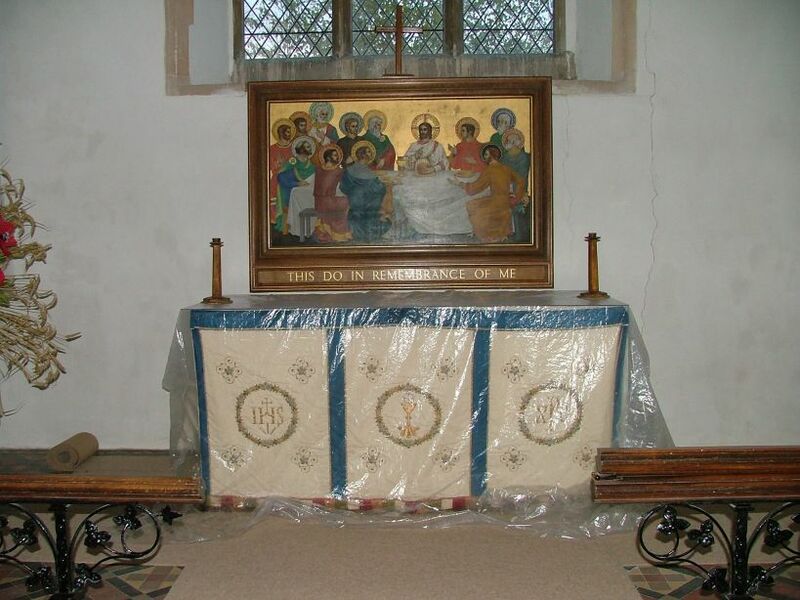 There is a fine early 20th reredos painting depicting the Last Supper; I assume it was originally set within a larger structure. 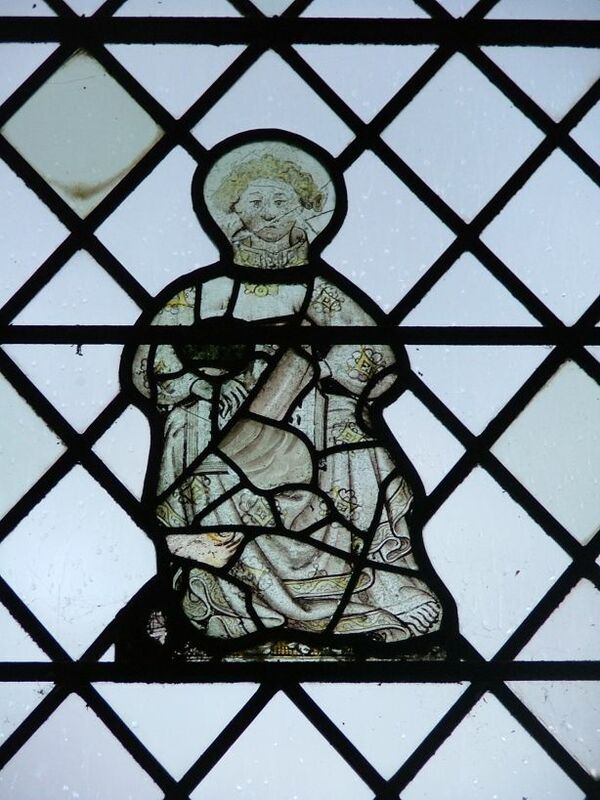 Best of all is the pair of medieval glass figures in a north nave window. 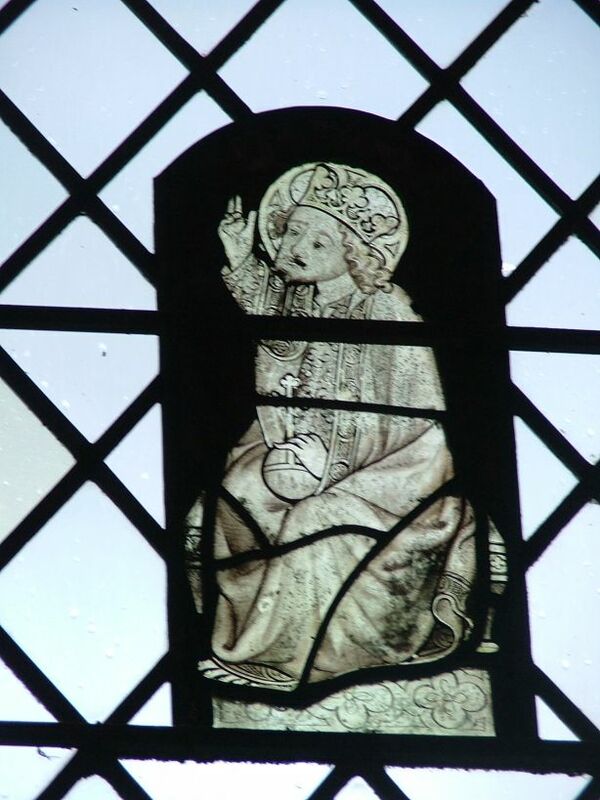 One depicts Christ in Majesty, and the other is probably St John the Evangelist. 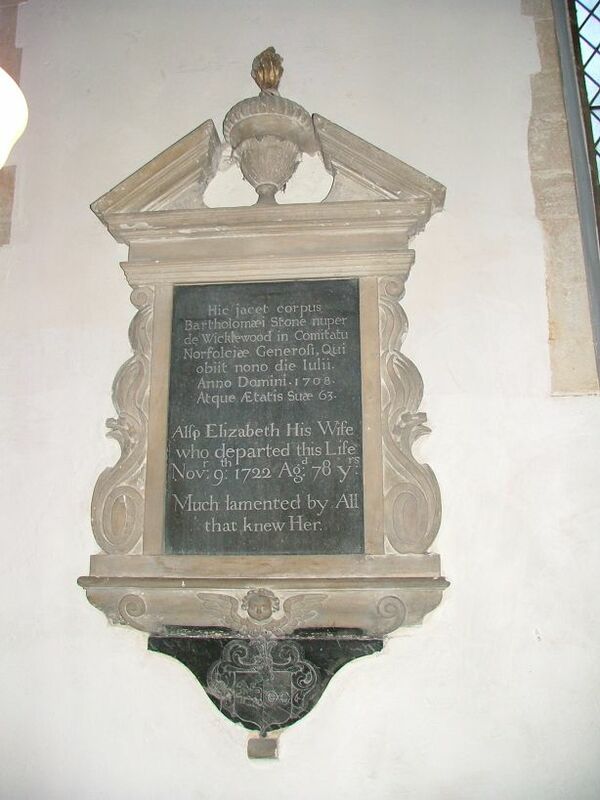 The memorial to Bartholomew and Elizabeth Stone records that she was much lamented by all who knew her, a reminder of how the language has changed since the 1720s.